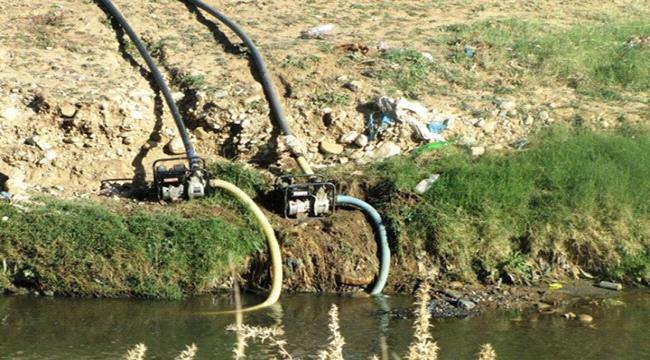 The Houthi authorities have ordered to prevent the entry of agricultural corps irrigated with wastewater into the capital Sana`a, in an implicit recognition of their responsibility for a deadly cholera outbreak in poor Yemen which has been ravaged by a five-year conflict. Sana`a mayor Hamoud Obad ordered the concerned authorities to start measures as of Saturday to prevent the entry of vegetables from farms around the main sanitation station in north of the capital and selling them at local markets, a statement carried by the Houthi-run Yemen`s "Saba" news agency said. Yemen has been hit by the largest cholera outbreak in history. More than 1.5 million suspected cases were reported during 2016 and 2017, with more than 3.024 people killed. A dramatic increase in cholera cases has been reported in the past three months after containing the disease last year, with 109.000 suspected cases and 291 associated deaths during the period from January to mid March. 85 deaths were reported in Sana`a and its countryside. Ibb province came in second place with 49 deaths, Amran in third place with 32 and then Taiz and Amran with 28 and 25 respectively. Meanwhile, medical sources in Sana`a held the Houthis responsible for the new wave of cholera saying the Houthi authorities ignored the disease, destroyed the sanitation system and stole humanitarian aid. The conflict has left hundreds of thousands killed or injured and 3 million displaced, pushing the country to the world's worst humanitarian crisis, according to the UN, with most of the population in need for a type of humanitarian aid and immediate protection, including 8.4 million people unsure how to get next meal, and some 2 million children suffering severe shortage of nutrition.